5" tall x 4 3/4" wide. Has a hole cut out in the lid for your spoon. 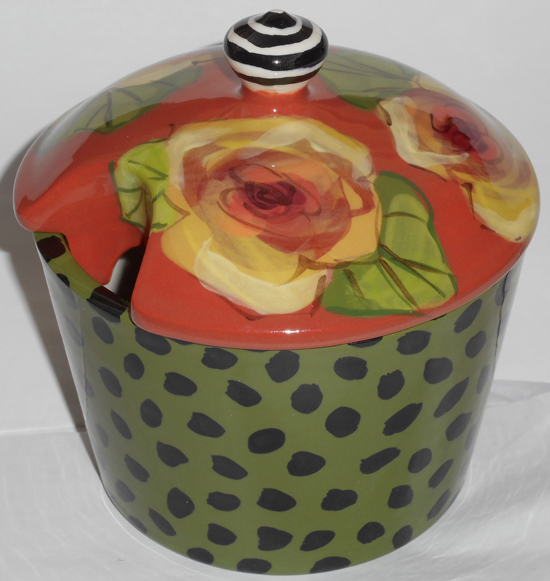 View a selection of patterns in this 5 3/4" wide by 5 1/4" tall large sugar bowl.